When Amelia Potasznik-Kriv and her wife, Caitlin, made up their minds last year to get the hell out of Dallas, they began their search exactly where one might expect. "I just started Googling 'places to live that are progressive,'" the 34-year-old immigration attorney said. Potasznik-Kriv found plenty of references to Vermont's liberal politics and livability. She found Burlington described as walkable, dog-friendly and culturally diverse, as well as close to Lake Champlain and the mountains — all characteristics that appealed to the couple and their two young children. Then Potasznik-Kriv saw something that really caught her eye: news coverage of the state's offer of up to $10,000 in cost reimbursement for remote workers who move to the Green Mountains. "It was kind of like a sign from the universe that this was the right place for us," said Potasznik-Kriv, who, thanks to the internet, can work for her Texas law firm while living nearly 2,000 miles away. The state's much-hyped initiative to entice people to live in Vermont while working for employers in other states is beginning to show results, according to Gov. Phil Scott's administration. The first batch of newcomers arrived in recent months from all over the country. While administration officials say the program is off to a great start and should be expanded, critics question whether the money is well spent. "They are not filling vacant jobs," state Auditor Doug Hoffer said of the newcomers. "They brought their jobs with them. I would much rather be making an investment in the people of Vermont." First proposed by the legislature, the $500,000 program was a centerpiece of the state's efforts last year to attract new residents. In his budget address this year, Scott called Vermont's declining workforce "the root of every problem we face" and said more workers were needed to help spread the state's tax burden more broadly. Thirty people have applied for reimbursement since January 1, and officials have approved 19 requests to date, according to Joan Goldstein, commissioner of the Department of Economic Development. Each applicant is eligible for up to $10,000 ($5,000 a year for two years) for moving costs and expenses such as broadband internet, rent for coworking spaces and some office equipment. If every applicant received the full $10,000, the program would have enough money to reimburse just 50 remote workers. But so far, according to Goldstein, eligible workers have requested an average of only $3,842, for a total of $73,000. Potasznik-Kriv said she requested $3,900, most of which was for a shipping container and movers, as well as smaller amounts for office supplies, such as a printer and phone accessories. Because it's a reimbursement program, it's impossible to predict exactly how many people will benefit from it. State budget writers made $125,000 available this year, $250,000 next year and $125,000 the year after that. If the average of $3,842 per applicant holds, the program could reimburse 130 workers new to the state. The true number of transplants is likely to be significantly higher, however, because recipients typically bring families with them, Goldstein said. The 19 workers approved so far have been accompanied by 31 children, spouses and others, for a total of 50 new residents. Officials are pleased with the response, even if those numbers are a far cry from the 3,000 inquiries the state received from potential applicants and the 2 billion "impressions" the program or stories about it notched online. "That's 50 people that weren't in the state two months ago," Goldstein said. "I feel good about that." If the applicant-to-household-size ratio holds, the state could expect to attract 338 new residents through the program over three years. Miguel Turner has already brought his growing family to the state. The 37-year-old cybersecurity expert had been living with his wife and two children in a Miami suburb in a home on a quarter of an acre of land. With another child on the way and family in the Pawlet area, they yearned for a little open space of their own, according to Turner. Now they've purchased a $450,000 post-and-beam style home on nine acres in Cambridge with views of Mount Mansfield — and they couldn't be happier. "That part of the move has certainly been a huge benefit for us," Turner said. Downsides so far include the schools, which his children love but which may not be as academically challenging as those in Miami, and the lack of broadband internet access in his area, he said. Whether the program can legitimately take credit for luring the five-member Turner family to the Green Mountain State is debatable. They had already decided to move to Vermont when local friends told them about the program. "The grant maybe helped us decide that now is the time," Turner said. "I saw it as a little bit of providence." The question of whether the reimbursements would really incentivize people to move or whether they would just go to those who had already decided to move troubled some legislators last year. Rep. Charlie Kimbell (D-Woodstock), who opposed the program, said he'd rather see the state address underlying problems that impede the state's growth than engage in what he called gimmicks. Such long-term solutions include improving education, making childcare more available and addressing the high cost of housing, he argued. In response to criticism last year that the program wouldn't do anything for those who already live in the state, economic development officials requested $1 million in next year's budget to make the reimbursements available to newly hired employees of Vermont-based businesses, if the workers move to Vermont from out of state. With the state's unemployment rate at a historic low, businesses struggle to recruit badly needed workers. These extra funds would help make such moves more manageable for new residents, according to Goldstein. The additional $1 million would be available in the first year — not spread over three years as was the initial appropriation. But that idea ran into opposition in the House Committee on Commerce and Economic Development, of which Kimbell is the ranking member. He and other legislators who question the effectiveness of such incentives instead directed the $1 million toward Vermonters looking to learn a trade as apprentices. "We really want to spend money on building workers' skills to fill the job openings we have with the workers we have in Vermont," Kimbell said. Goldstein says she fully supports apprenticeship programs but says there are already millions going toward such workforce development initiatives. The commissioner argued that it would be "a tremendous missed opportunity" if the state failed to expand a program that is generating huge positive visibility for Vermont and demonstrably attracting new workers. "It's very fair to say that more people have Vermont on their radar because of the incentive program and the publicity about it," she said. Larger businesses are better able to offer incentives that can help recruit new workers, but smaller ones have a tougher time, she said, and the expanded program would help fill that role. Some new residents arguably will quickly contribute more in taxes and other spending than the state reimbursements they have received. Potasznik-Kriv bought a $350,000 duplex and will pay Vermont income taxes, though her law firm is in Dallas. Her spouse is paying college tuition and fees in Vermont, and the couple's 5-year-old son is in private school, Potasznik-Kriv said. 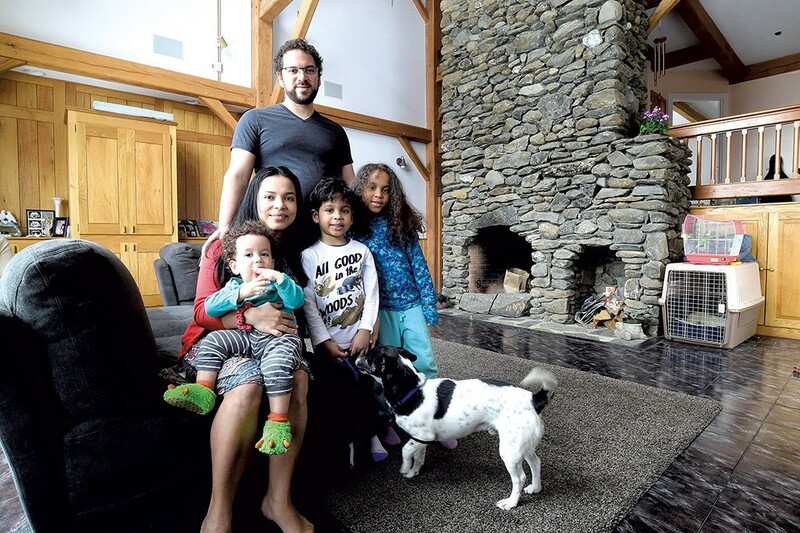 The children's biological father, photographer Arik Cardenas, has moved into the other half of the duplex the family purchased in Burlington's Old North End and will be contributing to the local economy as well, Potasznik-Kriv noted. Turner, the new Cambridge resident, said he, too, feels the taxes he's paying and the restaurants, wineries and other businesses his family plans to patronize as they explore their new home will more than make their clan a net contributor to the state's economy. "I'd like to think that I'm the type of person they were looking for," he said. 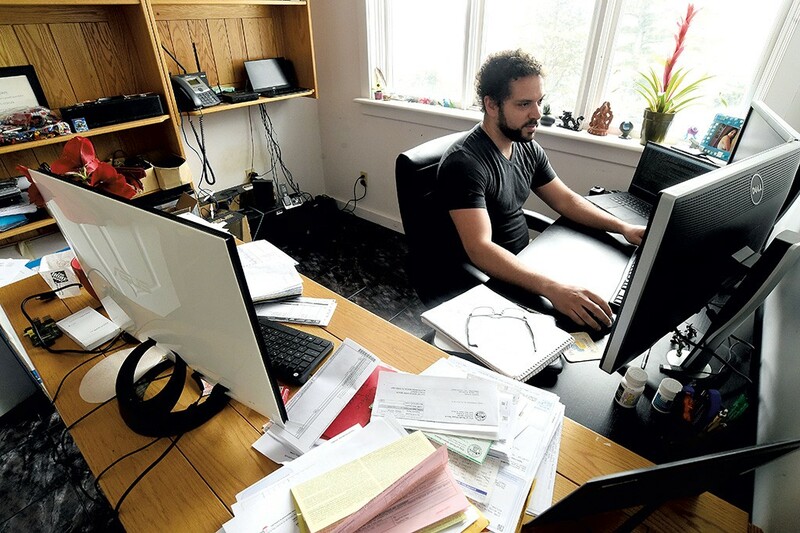 Part of what state Auditor Hoffer dislikes about the program is the lack of policy analysis to justify the remote worker incentives, compared to other options that might help Vermonters on the employment sidelines get back into the workforce. The program seems to assume the new residents will stay forever, which is by no means assured. "They could leave two years later, and that money would have been completely wasted," Hoffer said. As for how these formerly southern families are faring in the harsh northern climate, it depends whom you ask. "We talk to Vermonters who say they can't wait for winter to be over, but we feel like it isn't snowing enough!" Turner said. Potasznik-Kriv said she's getting through by "wearing like 20 layers" and thinks arriving in the dead of a harsh winter with two kids "toughened them up." "The first time it snowed, they were in heaven. They were like 'What is this, magic?'" But, she added, "Three weeks later they were over it." Correction, March 21, 2019: Due to an editing error, an earlier version of this story suggested that Gov. Scott first proposed the remote worker program. In fact, the legislature did.